Helping Children Reach Their Potential At Keren Or, we believe a little light can dispel much darkness. Our goal is about getting past children’s disabilities and revealing their hopes, dreams, and possibilities. Meet Nati, and follow his incredible journey from barely crawling to walking independently to climbing a mountain! He was born premature which caused extensive brain damage and subsequently he suffered optic atrophy and critical vision impairments. When Nati was 7, his parents realized they needed professional assistance and chose to work with Keren Or. Since he arrived all those years ago, Nati has progressed in leaps and bounds. He began walking for the first time when he was ten, just three years after he came to our center! 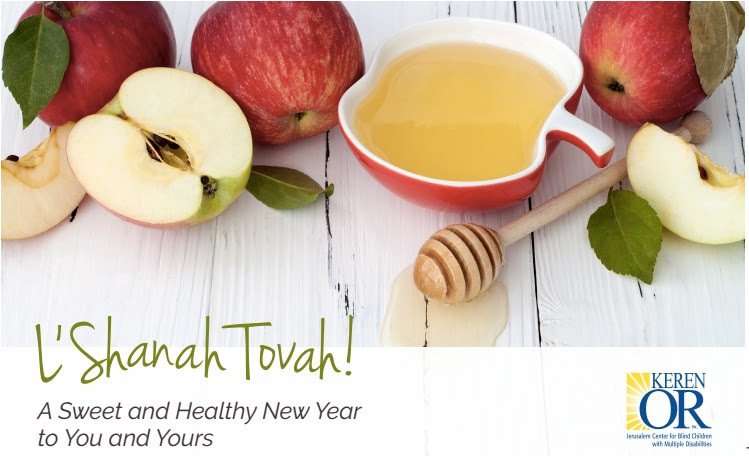 As we celebrate Rosh HaShanah the time of new beginnings, please help us to bring strength and independence to those who need it most. Send your tax-deductible gift to Keren Or today. Hand Made Keren Or Thank You Cards! What better way to send your thanks then with one of our special cards: hand made by Camp Akiba as Mitzvah Projects for our Keren Or students in Jerusalem. Are you curious to see the work that our organization does from a first hand experience? If you’re visiting Israel at any point of the year, why not visit? Charity Navigator has awarded Keren Or its highest rating of Four Stars three years in a row. 93 cents of every dollar goes directly to funding our students at the Keren Or Center in Jerusalem.